Looking for a sweet gift for Grandma? 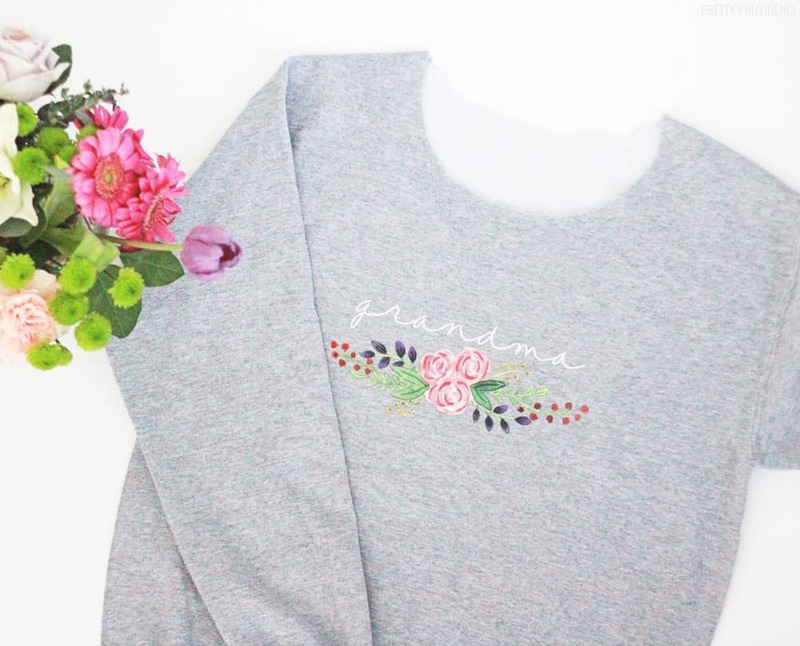 She will love this floral sweatshirt made with Cricut Iron On! I honestly cannot stop making gifts for people with my Cricut, you guys. I was thinking of Mother’s Day gift ideas (since it’s coming up in a few weeks) and I decided that I really wanted to make my Mother-in-Law a fun sweatshirt. 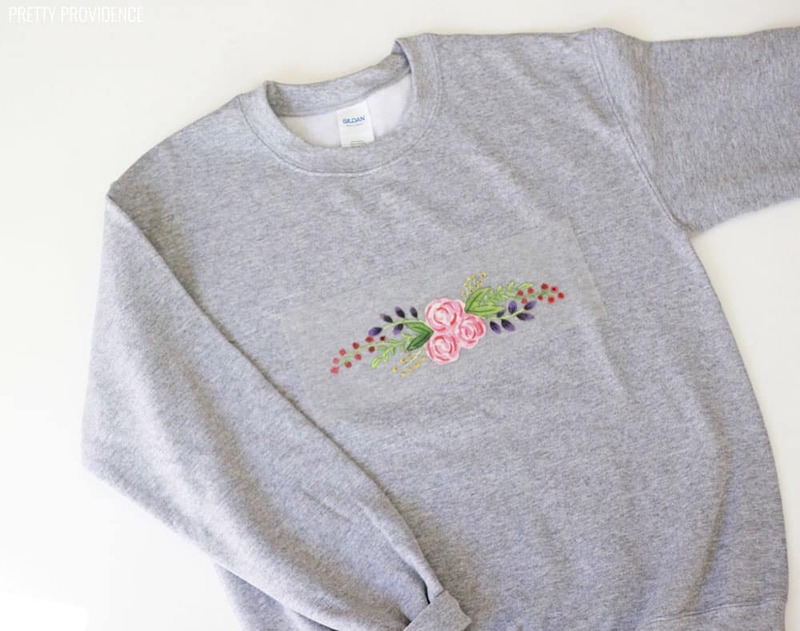 I kept going back and forth about what to put on it until I realized – a simple ‘grandma’ on the shirt would actually be perfect, along with the floral design. Sometimes the most simple thing is the answer. 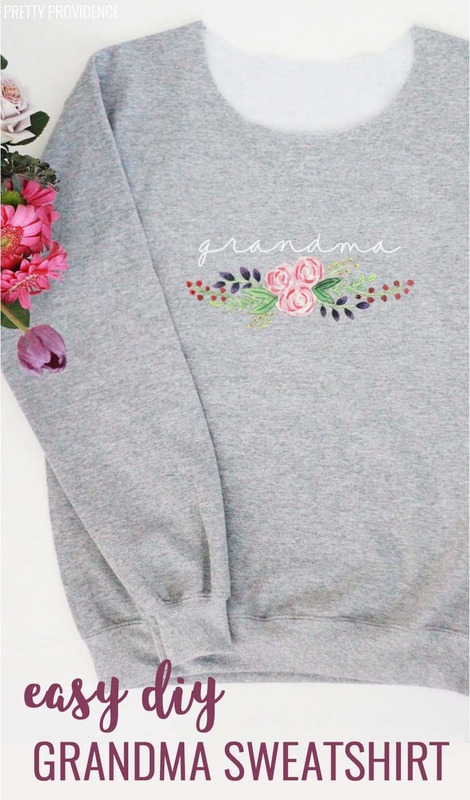 What Grandma wouldn’t love to get this personalized sweatshirt as a gift?! 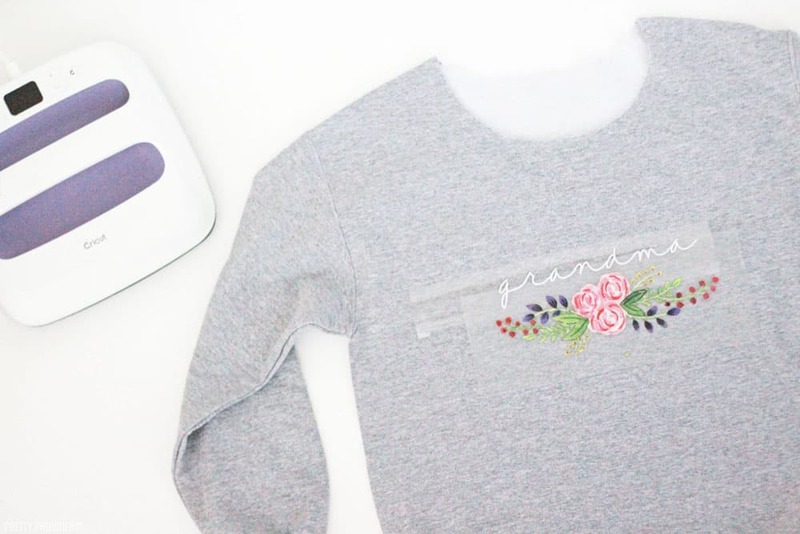 So, I picked up the plain gray sweatshirt at JOANN and went home to look through my Cricut stuff to brainstorm the project. 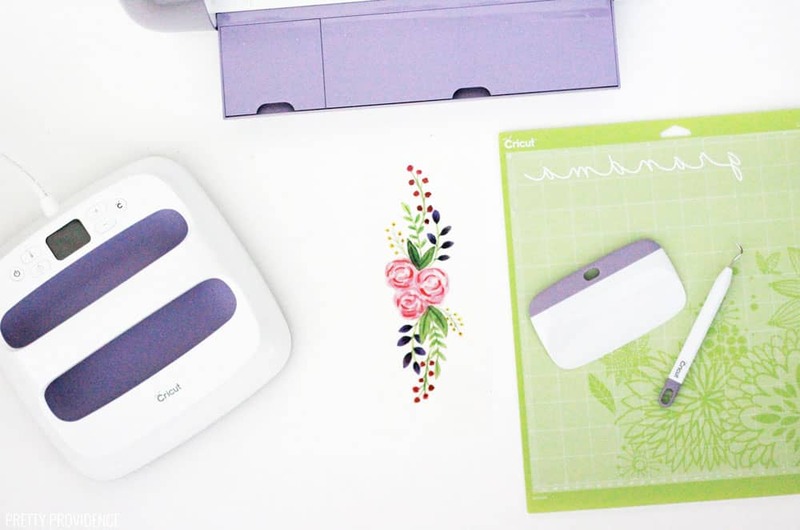 The new Cricut Wisteria EasyPress bundle is available exclusively at JOANN! 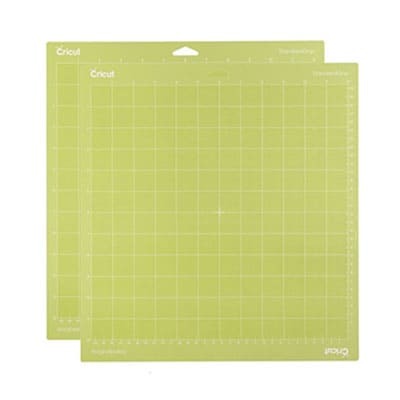 A quick explanation of the EasyPress if you are new to Cricut world: it’s a 9×9 evenly heated plate, which gives you amazing Iron On results in less than 60 seconds. 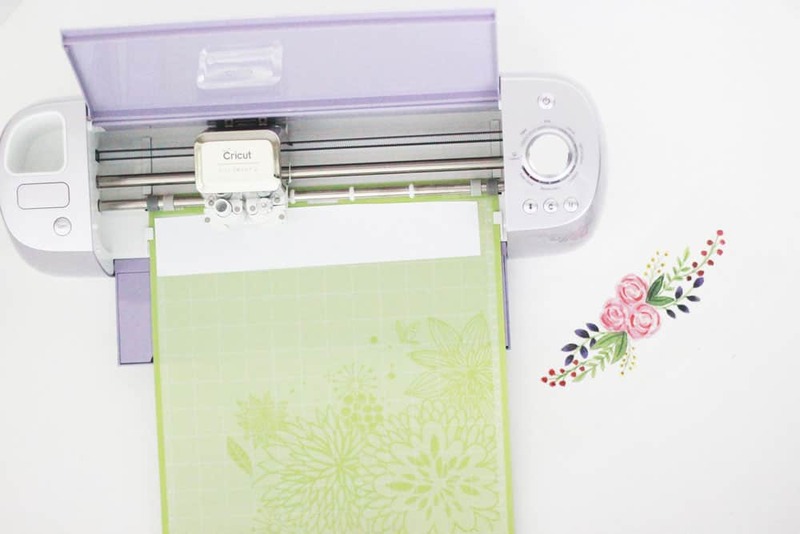 The Wisteria EasyPress is the first custom colored one and honestly, it’s so cute I want to display this thing in my living room. Haha. 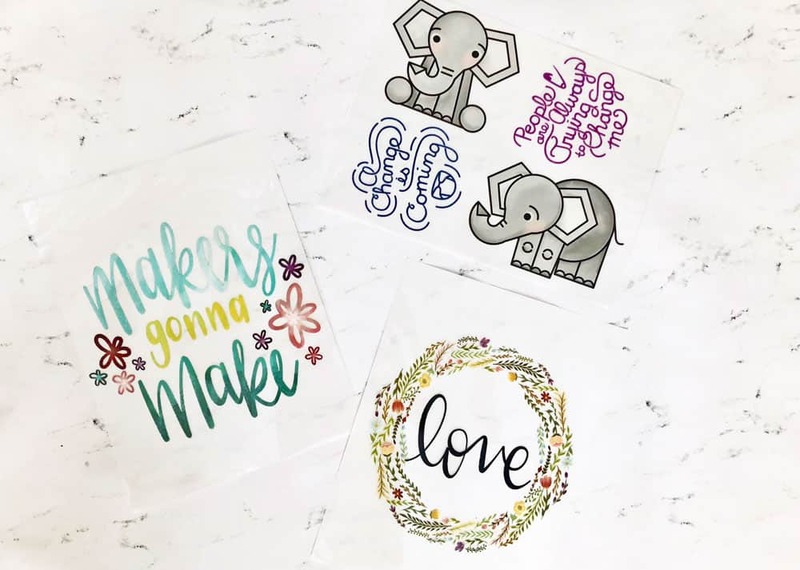 This bundle comes with the EasyPress and some exclusive Iron On Designs – one of which is the floral design I used, and here are a few of the others. Aren’t they so cute!? 1. 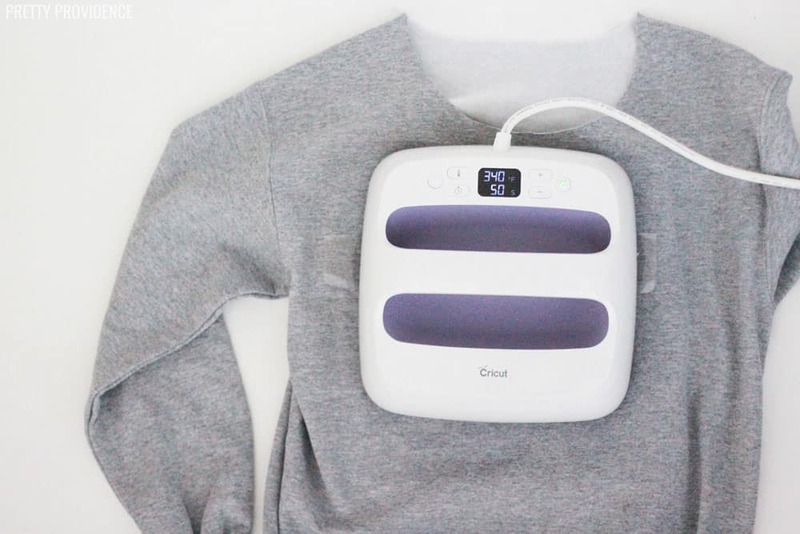 First, place your Iron On design onto the sweatshirt and decide where you want it to lay. 2. 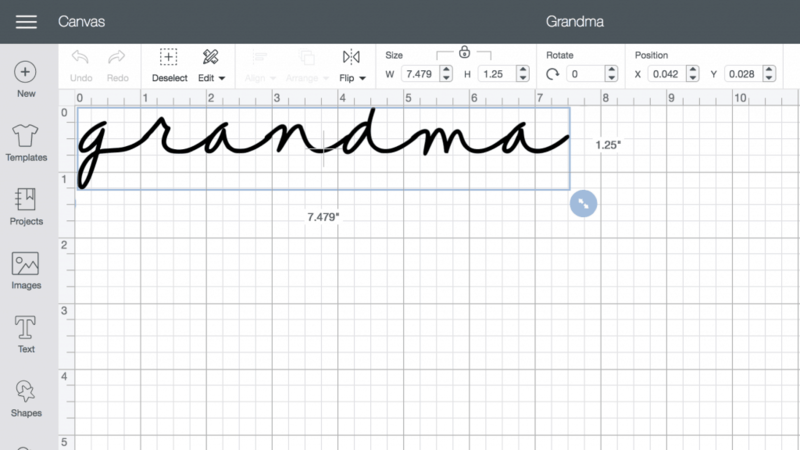 Decide how big you want your ‘grandma’ word to be. 7.5 inches was my preference. 3. 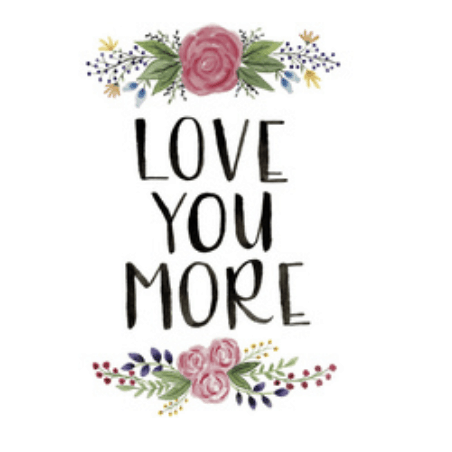 In Cricut Design Space, I chose a Cricut Font called ‘Yours Truly’ and played around with the spacing and made the type bold. Here is the link to my project in Design Space if you want to use it! 4. 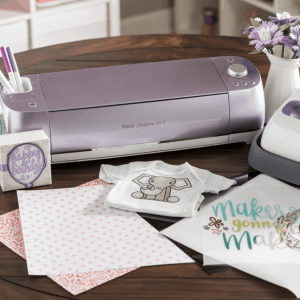 Once you have the design how you like it, click “make it” and then make sure your machine is set to MIRROR. 8. Finally, put the ‘grandma’ design back in its place, and put the shiny plastic back over the floral Iron On Design (just to protect it) then repeat the 50 second press, and warm peel. Ta da! 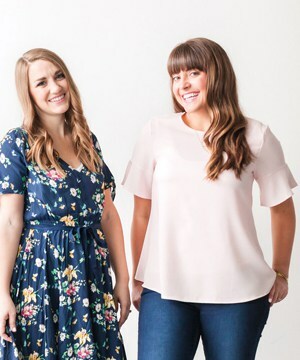 I also should mention that I cut the crew neck collar off of this sweatshirt with fabric scissors because I feel like it’s a little bit cuter that way, and my MIL does that to a lot of her t-shirts too! Totally optional, of course. 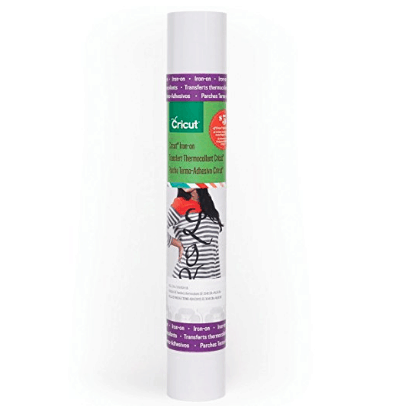 Have you ever given a personalized shirt, sweatshirt or apron as a Mother’s Day gift? This is my first time but I know it won’t be the last!